Here is what you should know before you worry about eating eggs. On the surface this study seems impressive. It lists 13 co-authors, all of whom are either PhDs or MDs. It was published in the prestigious Journal of the American Medical Association. Data came from surveys of nearly 30,000 people over periods from 13 to more than 31 years (avg. 17 years). Are you impressed yet? Well, don’t be. Let’s take a look under the hood to see why the research isn’t even worth the paper it is printed on. In the end, the JAMA study represents all that is wrong with nutritional research. Incomplete data, weak associative findings, lack of control for “healthy user bias,” confounding variables, and an over-reactive media culture that promotes such data as medically important. All that is wrong about this study is actually pretty obvious to the trained eye on closer examination. Indeed, its flaws typify as much as 90% percent of all medical research. We could get bogged down in details behind that 90% number here, so instead I will simply point out where it comes from. For the super-interested reader, it is derived from extensive research by the recognized best medical research statistician in the world, Dr. John Ioannidis. His published work is highly technical and will give the unininitiated a brain pain to read it. For the lay public, a 2010 article in The Atlantic gives you a more understandable perspective [ref below]. If that scares you about medical research, then so be it. The reality is that, at best, the JAMA study under scrutiny here suffers from poor thinking. Cholesterol has been a false worry for decades. It has been the subject of many articles and books. Yet it remains a health bugaboo in mainstream medicine. If you are not familiar with this money-driven mega-scam, then take a look at a couple of my earlier posts about it that I linked below. The egg research in JAMA ignores the well-established realities of cholesterol. You need this substance for a multitude of health benefits. Take a look at those posts to see some of the reasons why. Besides adopting an obsolete view of cholesterol, the JAMA study ignored all other ingredients in eggs. On the positive side, we know that eggs provide many, many nutritional substances: cholesterol (yes! ), vitamins, minerals, carotenoids, essential fats, lecithin … the list goes on. These are what we find mostly in the egg yolks. Do egg yolks contain anything on the negative side of nutrition? The answer is yes, depending on two factors that pretty much ALL nutrition research fails to consider. The first is what the hens were fed. What you eat reflects what your food ate. If your eggs came from grain-fed hens, then the fat profile of the yolks is less beneficial. Too much omega-6 fatty acid content and not enough omega-3 fatty acids. This is a big issue if your omega-6/omega-3 ratio is out of whack, which it surely is. The average ratio in modern times is 20:1, whereas it should be closer to 2:1 or even 1:1. Poor sources of eggs will not help. The second universally ignored factor is typical of nearly all dietary nutrition research – i.e., how food is cooked. This is a major variable that researchers fail to account for. To give you some idea of what this means, go back to my earlier post on foods that speed up aging, linked below. Based on just these two factors – types of chicken feed and how eggs are cooked – should give you a better idea of what to do about eggs. Select only eggs from free-range, pasture-raised chickens. Then consume them either raw or very lightly cooked at low temperature. On the positive side, they are rich in a protein called albumen. More than half of the protein in eggs is albumen. Egg whites also provide some niacin, riboflavin, magnesium, potassium and sodium. The negative side of egg whites, though, is a whopper. It involves a rare element that can literally kill you in multiple ways. That element is deuterium, otherwise known as heavy hydrogen. In a nutshell, deuterium clogs up energy metabolism in your mitochondria – the powerhouses of cellular energy. The details of how this works are astounding. The bottom lines is, the more deuterium you have in your mitochondria, the sicker you will get and the sooner you will die. All foods and water contain deuterium. According to a report by Boros and Somalyai in 2015, egg yolks contain about 122 ppm (parts per million relative to regular hydrogen), while egg whites contain about 152 ppm. Although this may seem like a small difference, the effects are non-linear. This means that even tiny differences lead to major effects. Consuming more egg yolks and less egg white gives you a better balance of dietary deuterium. By the way, the deuterium story is much more complicated than that. I will write a separate post on the ins and outs of this remarkable isotope of hydrogen soon, so stay tuned! Meanwhile, you can take advantage of the health benefits of eggs the way I do. First, only consume eggs from the best sources. Then cook them very lightly or not at all. In fact, one of my favorite ways to eat eggs is to separate the yolks from the whites, then hand-whip the yolks with a scoop of turmeric and a dash of Tabasco sauce – YUMMY! Now go and enjoy some eggs! Zhong, VW et al. 2019. Associations of Dietary Cholesterol or Egg Consumption With Incident Cardiovascular Disease and Mortality. Journal of the American Medical Association 321 (11):1081-1095. Freedman, DH. November, 2010. Lies, Damned Lies, and Medical Science. The Atlantic. Scher, B. March, 2019. 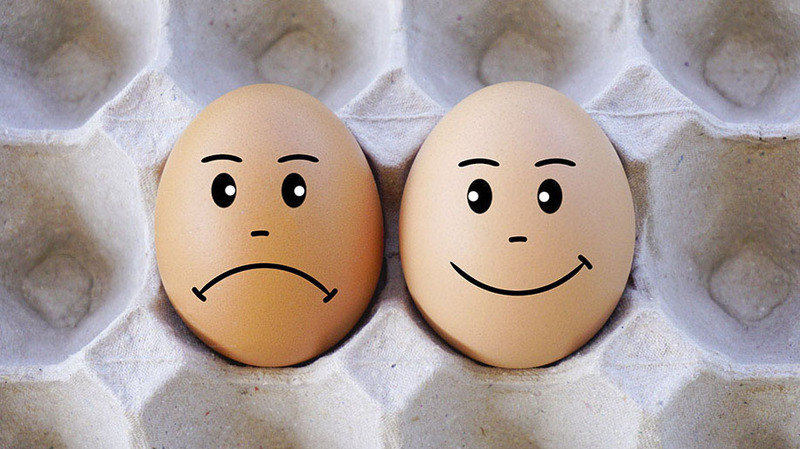 Eggs are bad – then good – then bad again? What gives? DietDoctor.com. Boros, L. and Somlyai, G. 2015. Deuterium and Hydrogen Ratios Determine Proton Spin-Lattice T1-Weighted Magnetic Resonance Images: Clinical Applications in Cancer. ESIR Isotope Workshop XIII, Zadar, Croatia 10.13140/RG.2.1.2592.0487.